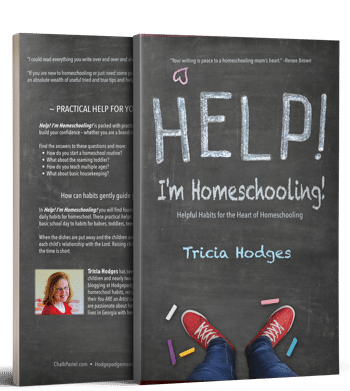 When I first started homeschooling I was desperate to learn how to do it. I knew it was easily an extension of parenting and reading books aloud to our eldest. But part of me needed details and examples. Fortunately, I have several long-time homeschooling friends who have mentored me. Those I can still call on for advice. But there are also books I read that shaped my homeschooling heart. These I share today also helped form our hodgepodge homeschool method. And I am always continuing my education. 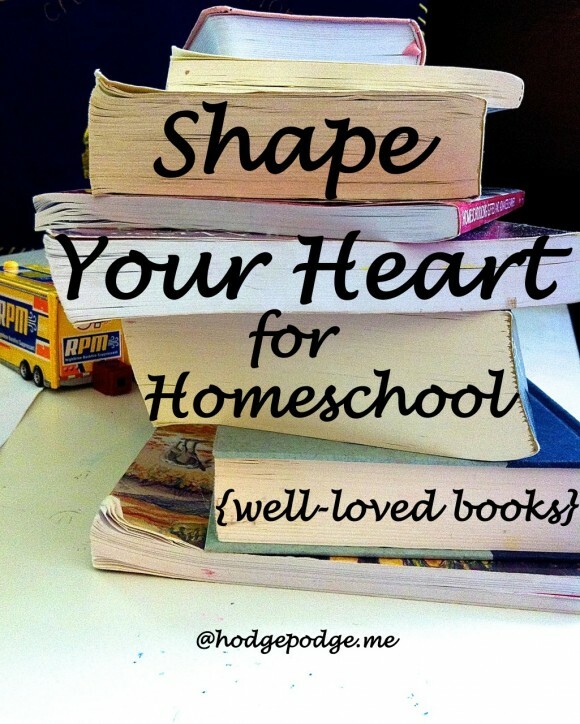 Did you know you can shape your heart for homeschooling with books? ~ Some of the below links are affiliate links. This means if you click on them and buy one, we earn a small amount to buy more books for our homeschool! See our full disclosure policy. I Saw The Angel in the Marble by Chris and Ellen Davis – the Homeschool Marketplace is full of past e-newsletters of encouragement. How I looked forward to catalogs from the Elijah Company. 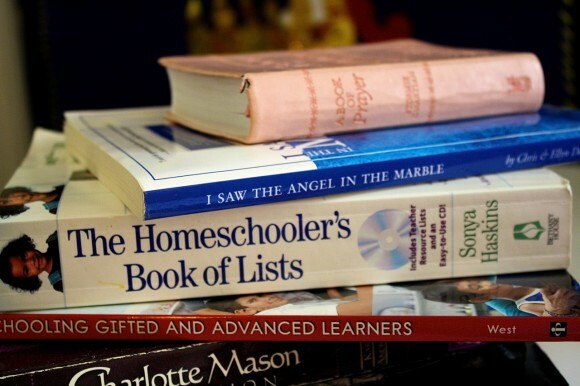 The Well-Trained Mind: A Guide to Classical Education at Home – I had the pleasure of hearing Susan Wise Bauer at our state homeschool convention in one of the first years of our homeschooling. I purchased her book there. The classical model greatly shaped our homeschool. – read and just relax parents! Those of you just starting homeschooling with little ones. A wealth of common sense and basic learning advice. Must have (or borrow). A Book of Prayer by Stormie O’Martian – First the Power of a Praying Parent then the other Stormie O’Martian books on prayer and a treasure bound up in one book – all to refer to. Since prayer is an absolute cornerstone of homeschooling. – habits and the gentle art of learning. So thankful I read this when my children were very young! 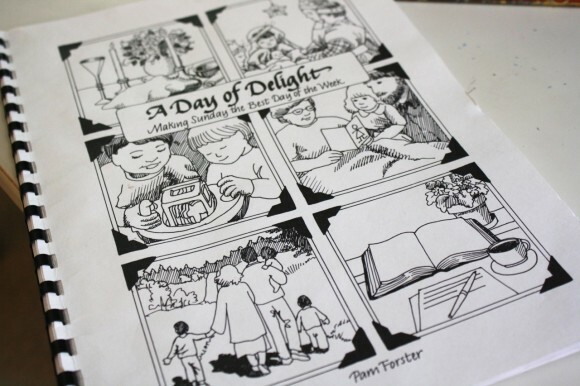 A Day of Delight by Doorposts – what a timely resource for me this was! I read it when I was in the thick of babies and just getting out the door was a struggle. Survival! The Doorposts book helped us turn our focus to Sunday, making it the best day of the week. From this inspiration we built our habit of being ready, the Sunday Box, my Fast Food for Slow Sundays series. Which then resulted in my Southern Hodgepodge cookbook bundle. – It’s about time I review fabulous reference! It’s an especially good one for reading lists and is categorized by grade. 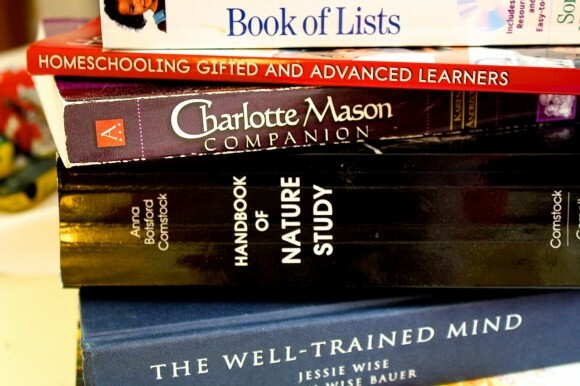 List after list after list of inspiration for your homeschool. Timelines and more. Leading Little Ones to God (my review) – this gem has been a bedtime reading mainstay. And though we read it to the youngest ones it never fails that an older one listens in. Countless basic discussions about God started in our home simply by reading a chapter. – One of the main references for nature study in our home, many thanks to Handbook of Nature Study blog and all Barb’s coaching. And oh how nature study has opened the doors to so much more. It’s pure, pleasure-filled learning. With many more resources to spur us on in our studies. – a resource to turn to time and time again, I just read this in the last year and a half. As I read it, it was confirmation of what the Lord has been leading us to do! Be sure to spend some time at Whole Heart Online to see what all the Clarksons offer. 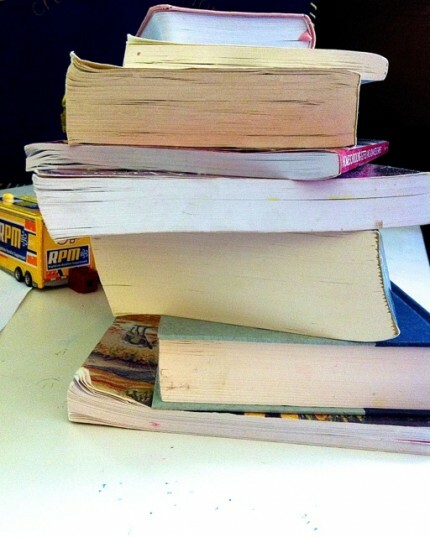 When I shared this photo on instagram I said: “Collecting my favorite stack of homeschool books to share next week. Do you have some that have shaped your heart for homeschooling?” My homeschool friends shared their favorites too! 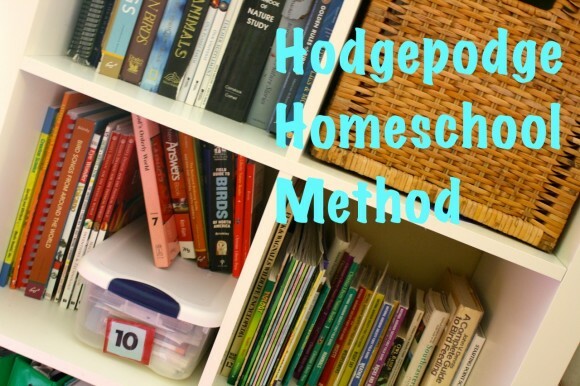 The Hodgepodge Homeschool Method – how reading these books translated into our homeschool. There are several others but this is supposed to be a top ten list! After all that I even ended up picking the word “shaped”. Sorry about that! Great list…lots of fun.